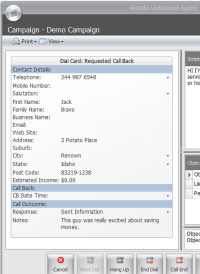 Acarda Sales Technologies provides a range of call center and telemarketing software products to help maximize your business productivity. 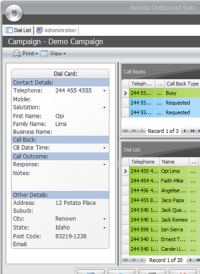 Our Acarda Outbound Team Call Center software is for groups of people engaged in outbound telemarketing while Acarda Outbound Solo Telemarketing software is for a single user telemarketer. 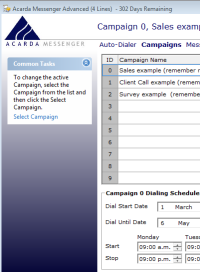 Acarda Messenger is a fully automated auto dialer.